Br. 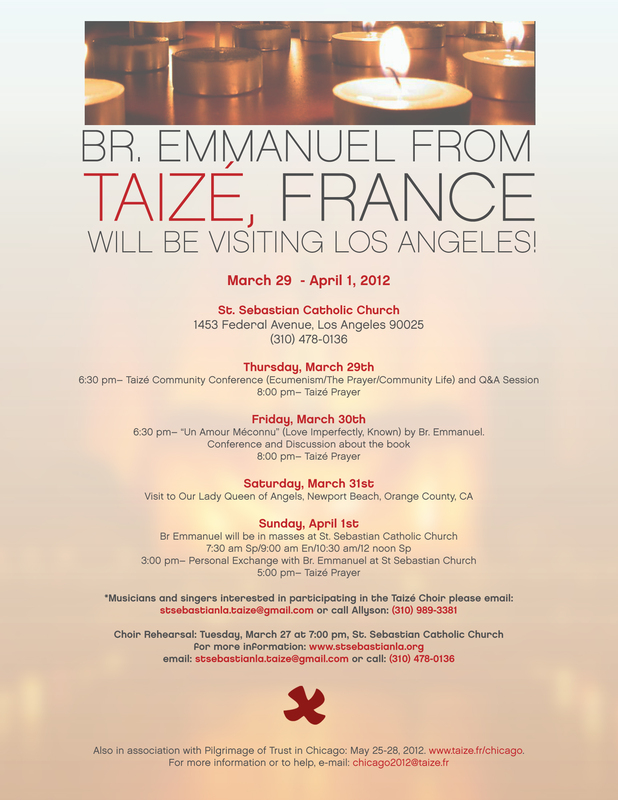 Emmanuel from Taize, France will be coming to West LA March 28 – April 1 to share Taize Prayer. He will be presenting sessions about Taize and life in Taize and leading us in Taize Prayer at the end of the evening. St. Bridget’s English Choir will also be singing at the event. For those interested in singing for the 3-day event, please e-mail stsebastianla.taize@gmail.com or contact Allyson Dong. The flyer has more detailed information for the event.